The condo development in Richmond has been rocketing, especially the area starting from Richmond Centre to the banks of Fraser River. 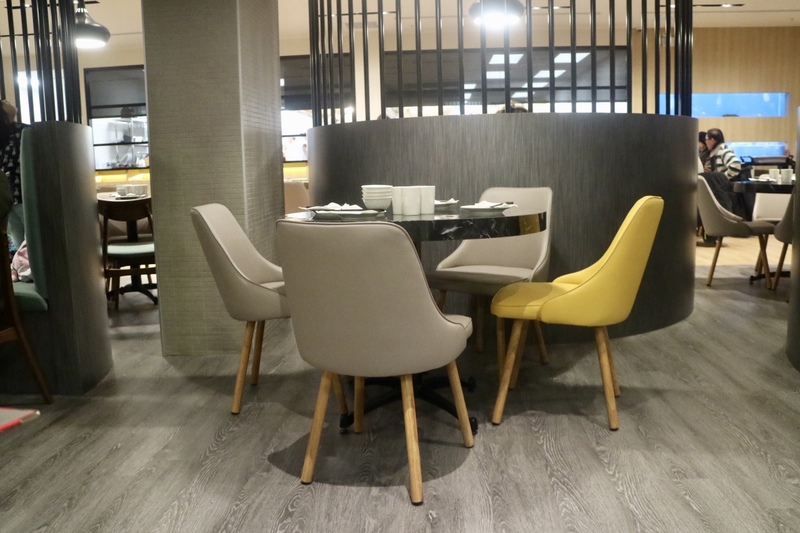 It is great to see more and more new restaurants and stores acquiring spaces in residential buildings, adding excitement to the new urban growth. The Cadence building on Gilbert Road is the prime location in this booming neighborhood, as the road extends to Arthur Laing bridge, the only gateway that connects Richmond to both Vancouver and the airport. 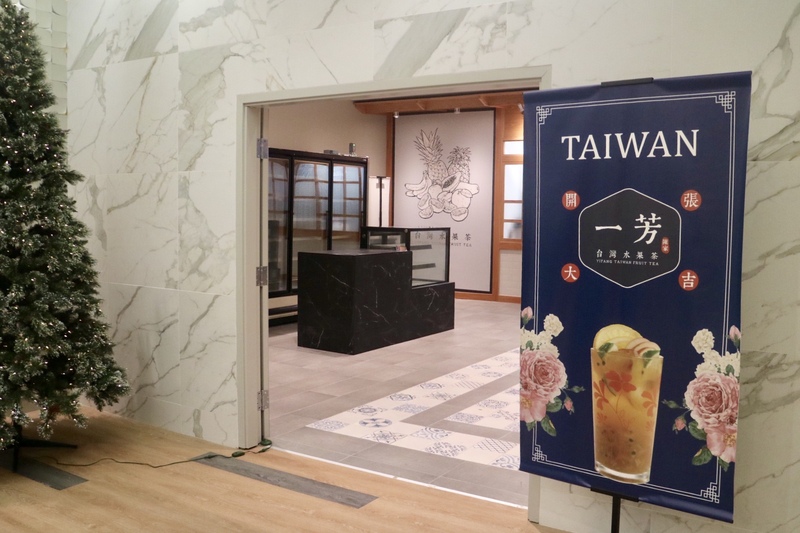 It is no surprise that the international chains like Milkcow Cafe and Seorae Korean BBQ have a tenancy in the building. 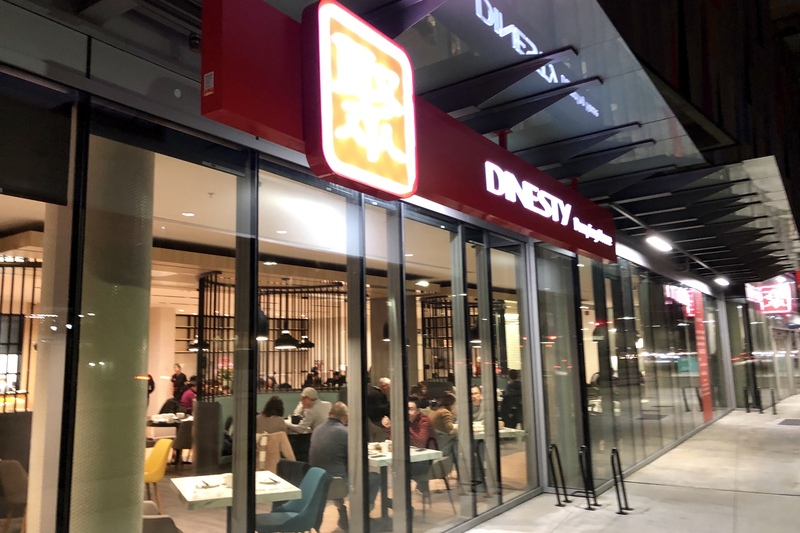 The latest tenant is a local Chinese restaurant chain Dinesty Dumpling House, seemingly inspired by Taiwan’s Ding Tai Fung, serving handcrafted traditional Chinese food with modern settings such as open kitchen and contemporary dining room. 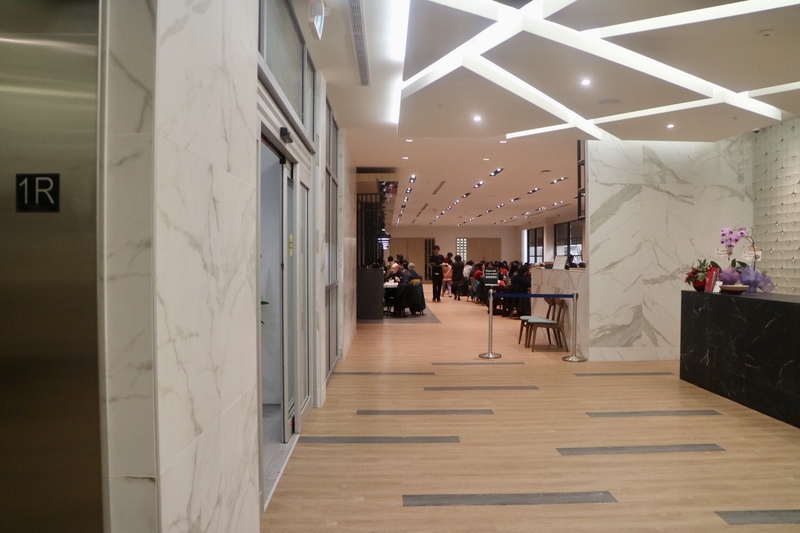 According to the builder, the building was preparing the space for a high-end supermarket, but somehow the plan fell through, leaving such a vast commercial space. Dinesty has done a commendable job on the interiors. The high ceilings, the hardwood floor, and the art deco seatings, all are tastefully designed. Having Yifan Taiwan Fruit Tea across the hall is a smart arrangement. 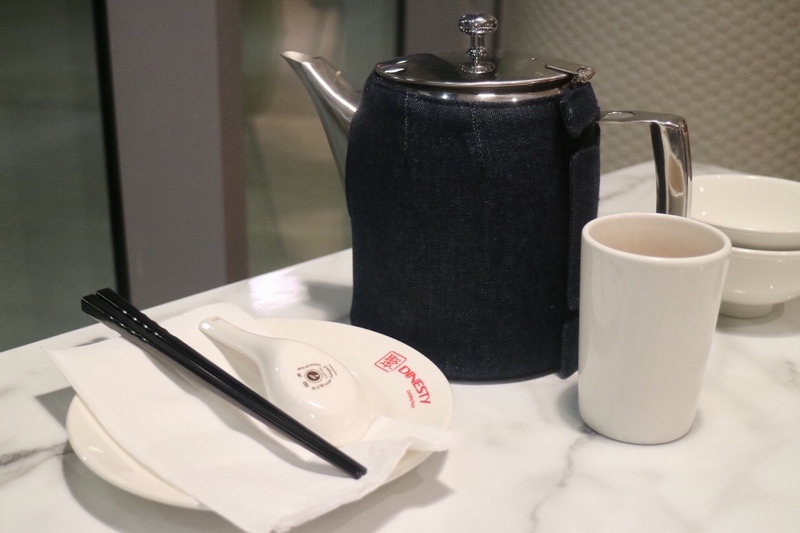 People can find a sweet Asian treat like fruit tea or bubble tea after a food Chinese meal. Food was good. 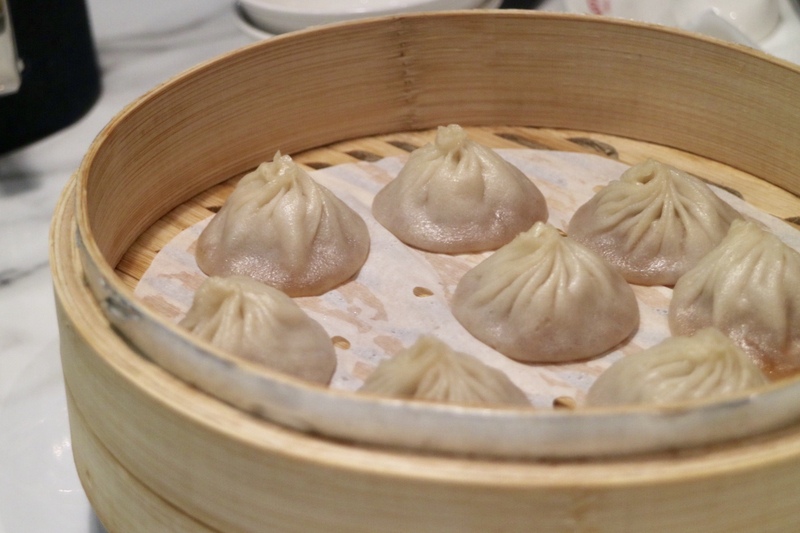 The Xiaolongbao ($7.95), as their staple dish, presented some nicely crafted soup dumplings, with thin but bouncy skin, flavourful soup, and tasty meat filling. 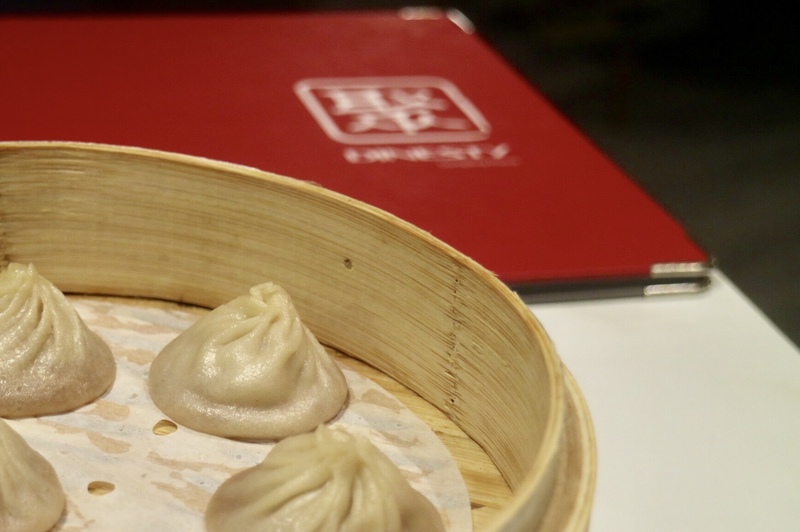 I have to say, every time I go to Ding Tai Feng in Asia, I am not super crazy about their Xiaolongbao because our soup dumplings back home are just as good. The House Fried Rice Vegetable & Salted Pork ($12.95) was on special tonight with $2 off, same with the No.3 Road location. From the Chinese name of the dish, I was expecting the Shanghai style vegetable rice but it was more like the Cantonese style fried rice. It was very delicious nevertheless. 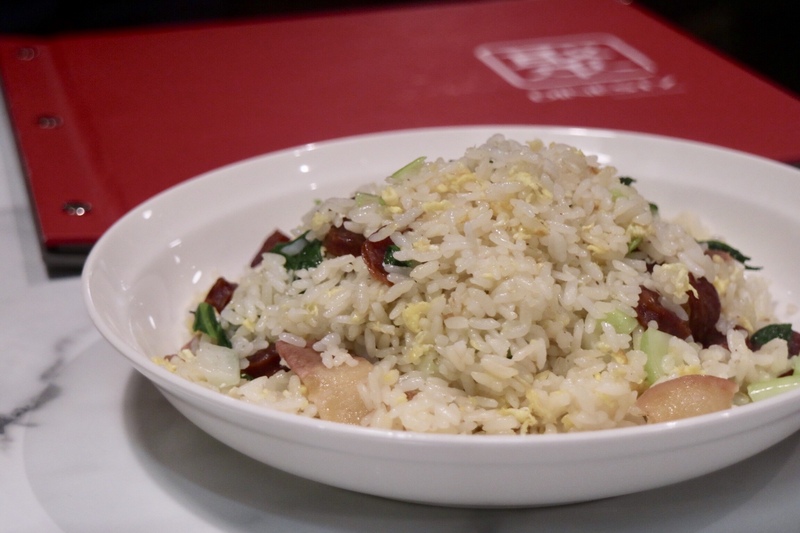 With good fried rice, you can always get a nice aroma from the fried egg and the rice with quality. 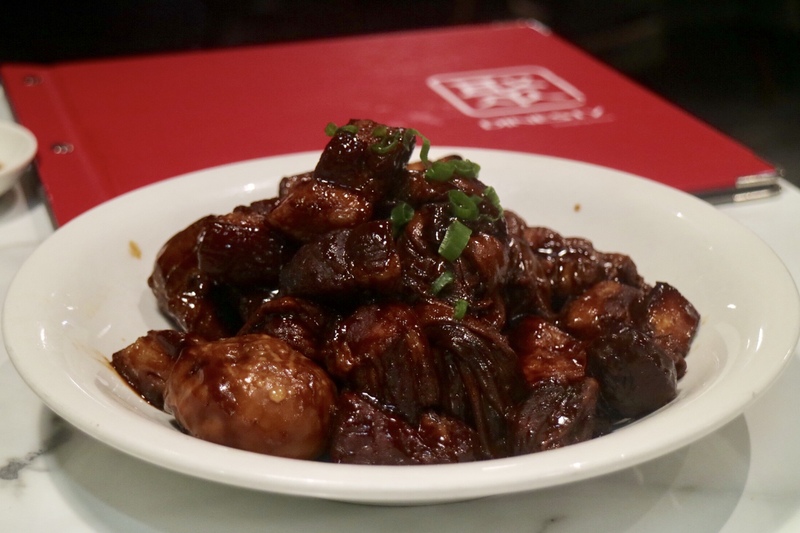 The rice was going so well with the Braised Pork Belly ($17.95), with every single piece of pork evenly layered with the perfect amount of meat, fat, and slightly crunchy skin. The sauce has a great balance of sweet, tangy and savoury flavours. I could have given a good solid 4 stars as we pleasantly enjoyed the food. However, the service was somewhat lacking. The dining room is huge and they seem to be short on staff. The area by the front windows seems to get ignored a little bit. Although hating to act rude, I had to wave at the servers to get their attention a few times. The newest location of Dinesty has kept the same quality of food. The soup dumplings here are among the best in the city, and the other dishes I tried were tasty too. 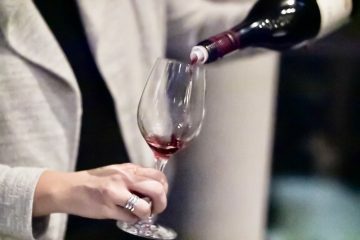 However, the shortage of staff could cause the inconsistent quality of service, which could be an issue for such a huge dining room. Hopefully, they will overcome this and become a popular spot in the neighborhood. Really nice review of the new Dinesty!